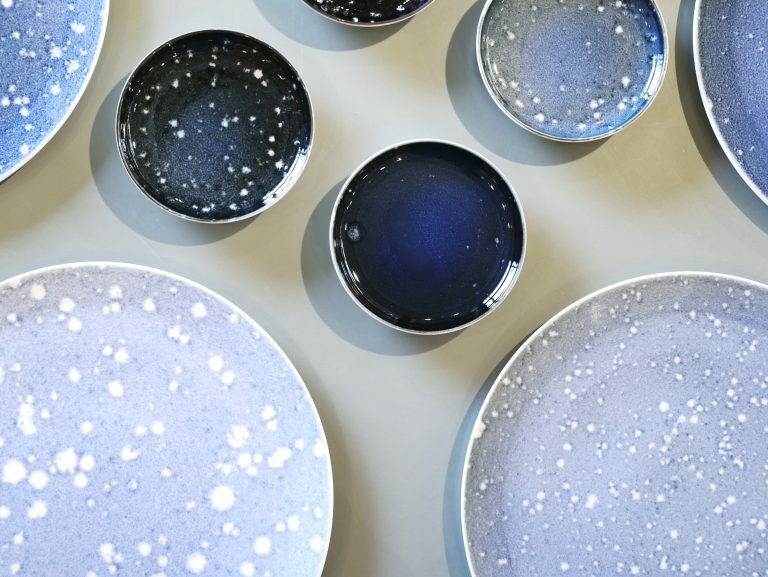 A porcelain edition of Made by Rain follows up the textile collection. Developed during a three-month creative residency from september-november 2017 in Arita, Japan. In the Japanese language there are at least 50 nouns to describe rain. Porcelain used to be a medium of travelling communication transmitting stories, momentums. In a collaboration with the potter Fukusengama, a process to ‘draw’ on porcelain with the rain is developed. 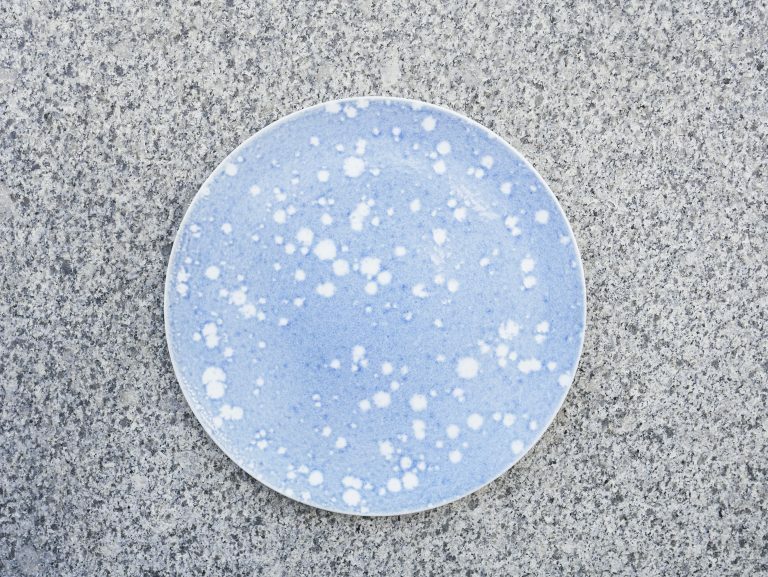 They investigated how to achieve a contemporary approach to traditional Arita ware and create a modest patterning on the porcelain by using real rain together with several experimental stages of glazing.